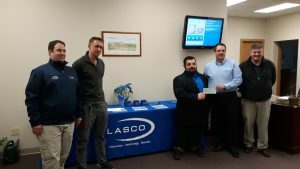 Quarterly Jean Money Donation - Lasco Inc. This quarter we donated our Friday jean money to Courage Incorporated, which is a non-profit organization based in the U.P. that focuses on helping individuals and veterans with physical disabilities participate in outdoor activities.